Our pianist Tony is one of the top jazz and classical pianist in the country. Tony ‘sexperience as a concert pianist and solo performer in his own right allows him to background-entertain on piano adding a touch of class to your reception of dining event. 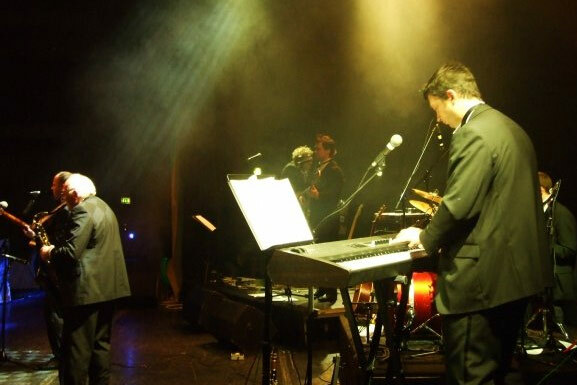 Dressed in black-tie, Tony lights up the mood with jazz standards, upbeat classical tunes and positive modern favourites – of course playing your special wedding music and mood appropriate requests when asked. When considering booking our pianist Tony for your reception it is important to confirm that a (recently-tuned) piano is on-site and available to the pianist at your event venue. In cases where no piano is available Harlequin offer a Grand-Piano Hire service. Please enquire with Shane about this service. Our available grand pianos include a Steinway, a Beckstein and white Yamaha (very cool at black-tie events). We can tailor our piano hire service to suit your budget.